The MIUI ROM of the Xiaomi is very much popular among the customers as it provides the best performance to the smartphones at an affordable price. The Chinese company is known for pricing the smartphone decently but it looks like it is made possible just because of the unwanted ads instead of the hardware trade-offs. If anyone among you has used or still using an MIUI based device then you might be aware of the low pricing and high earnings by the company. The company earns high because of the software link-ups i.e. 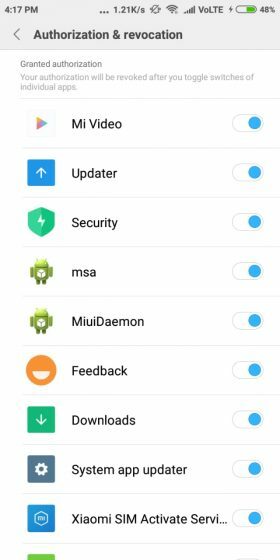 unwanted bloatware or ads that pop-ups in the system apps like the MIUI Security app, Mi Music, and now even in the Settings. These ads get frequent which becomes irritating due to which you look for a way to stop the ads. 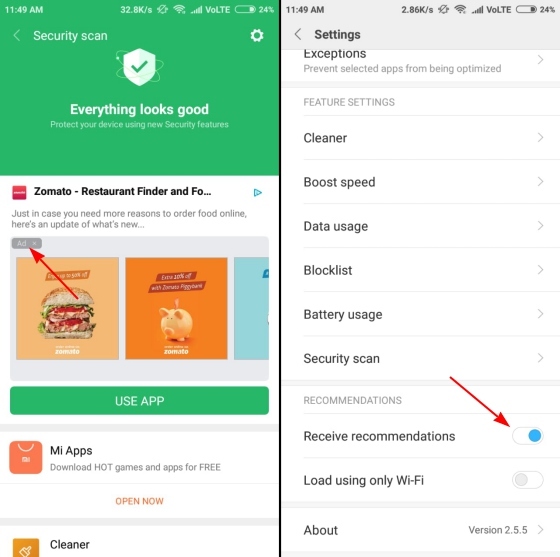 So to help you out we have come up with this article by which you will get to know how to turn off these ads completely in System apps on the Xiaomi smartphone. 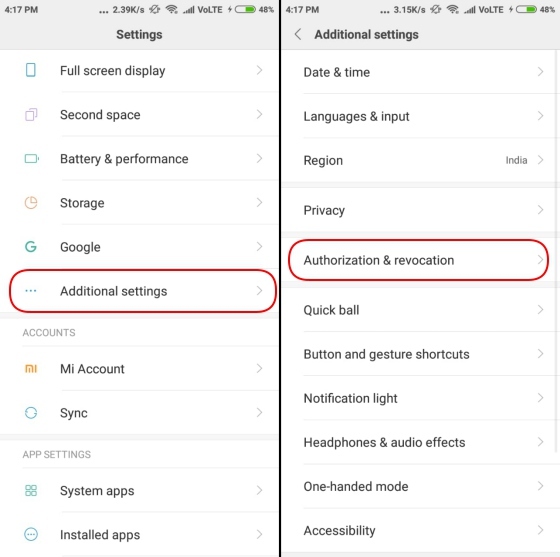 Given below is the step by step process to disable Ads in Mi App. If you have used Google Chrome, then the Mi Browser will seem to you very disorganized and messy. Other than these, you will also be interrupted by ads while reading news on the start page and this is just because it access your Internet usage patterns and mobile data. 1. 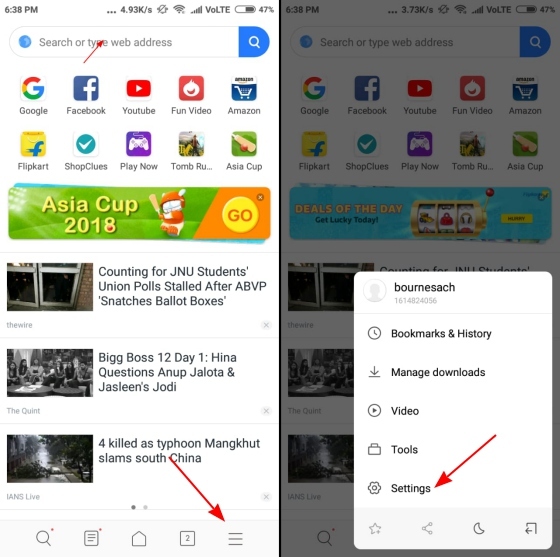 Open the Mi browser app and by clicking the hamburger menu which is present at the bottom right, go to the ‘Settings’ menu. 2. 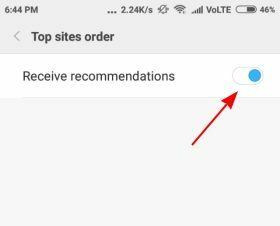 Scroll down and go to Advanced -> Top sites order -> Receive Recommendations. 3. Now, to stop the ads, switch off the ‘Receive Recommendations’ option and get a smoother browsing experience. 1. 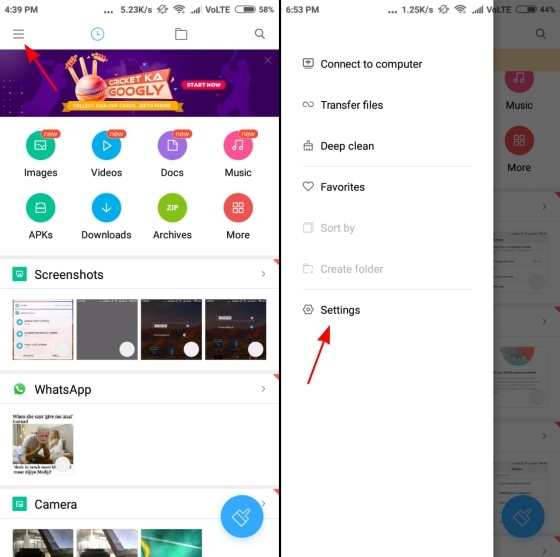 Open the File Explorer app and from the ‘three lines’ icon which is present at the top left select Settings. 2. Now, go to the ‘About’ section -> Recommendations option -> switch if off. Now you will stop seeing ads while exploring through the files. 1. Hamburger menu -> open the Settings -> Receive Recommendations -> toggle off. 2. Also visit Settings -> Cleaner -> toggle off. 1. Press cog icon -> Setting -> receive Recommendations -> toggle off. Only Xiaomi mobile users can say how they feel when there are ads even in the folders. We just feel like to throw it. So just calm down as given below process will help you to get out of this. 1. Tap on the name of the folder -> Promoted apps -> switch off. A piece of good news is that you have almost removed numerous ads from the system apps of your smartphone. 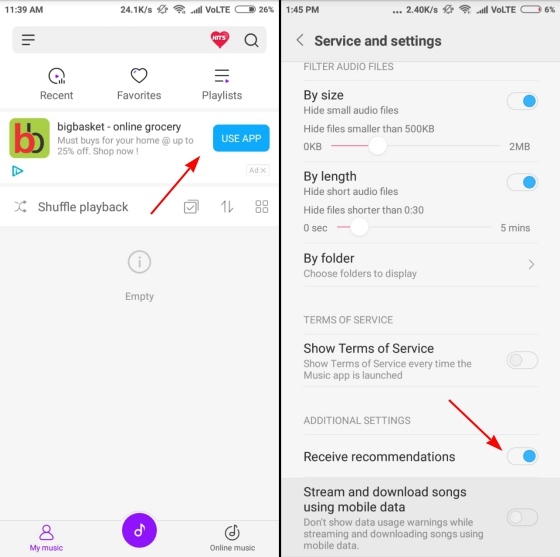 But now if you want to remove the ads entirely from your smartphone even the one which appears in the shortcuts menu or before the apps, then follow the steps given below which might seem to be a little tricky but will help you to remove ads. 1. Open Settings -> Additional Settings -> Authorization and Revocation option. 2. 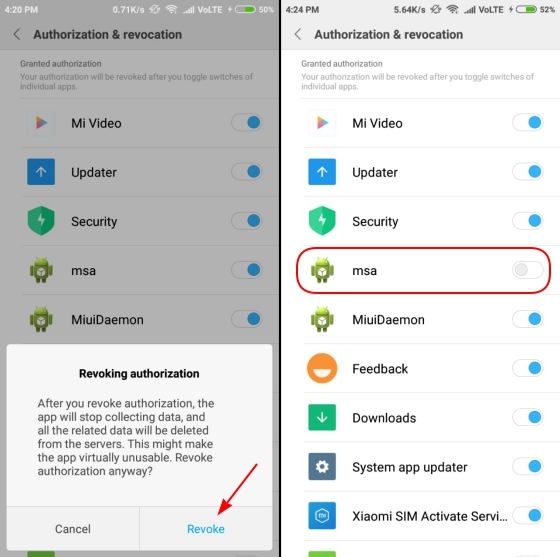 Now there will be the MIUI System Ads (MSA) app when you click on the Authorization and Revocation option. Now toggle it off and the access to the MSA app will be stopped to disable the ads. Also note that to stop the access to this app, you have to create or log in to your Mi account. 3. When you will toggle off, then you will see a pop-up. Tap the Revoke option and now you will not be interrupted by any ads. There is also a possibility of the ‘Couldn’t Revoke Authorization’ toast notification but don’t temper yourself instead try again and this time you will surely succeed. 2. After privacy, go to Ad Services menu -> Personalized ad recommendations -> toggle off. Now the ads will not see the data usage and will customize the ads depending on the same. At last, if you find these steps harder, then don’t insist yourself to do it either choose third-party ad blocker apps to disable the ads. 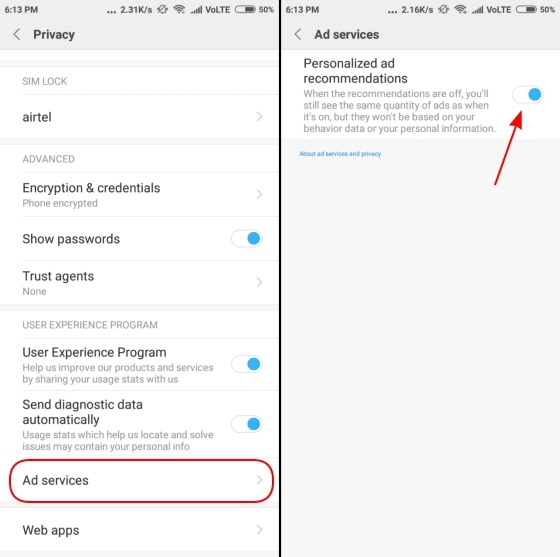 Don’t use all the apps, but as per our suggestion, just use AdGuard and Blokada to disable ads from the smartphone that too without rooting the smartphone. 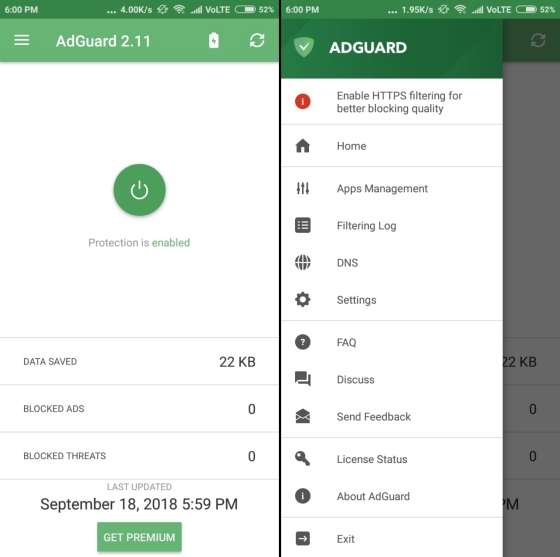 AdGuard is the app which helps in removing the ads which provide no-root ad-blocker service for Android smartphones. The ads might be in the form of text or video across the system i.e. in apps, games or browsers. The AdGuard gives your smartphone full privacy through the custom filtering which helps in keeping you away from the trackers. The app is updated frequently and is highly customizability. 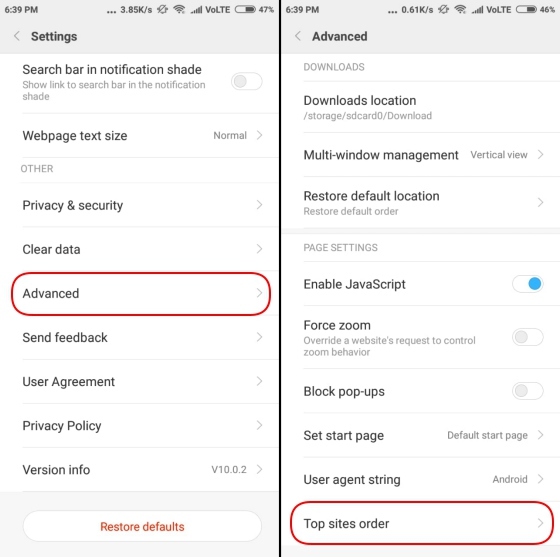 To get rid of the unwanted ads in your Xiaomi smartphone, enable the ad blocker by clicking the power button at the centre. 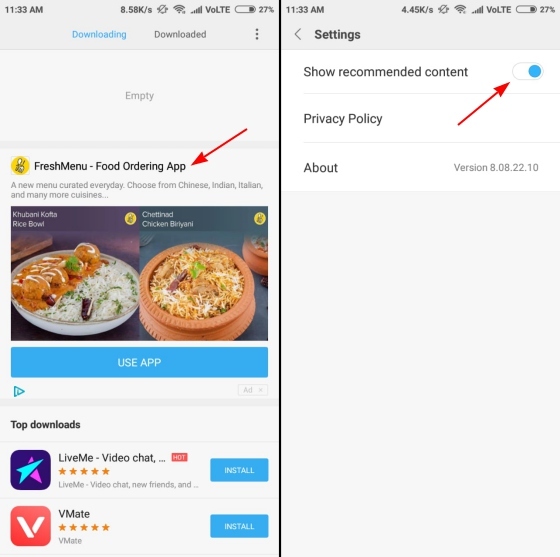 The app gives you rights to view all the filtering logs and to manage which app must show add and which must not and along with these, there are a lot of options. 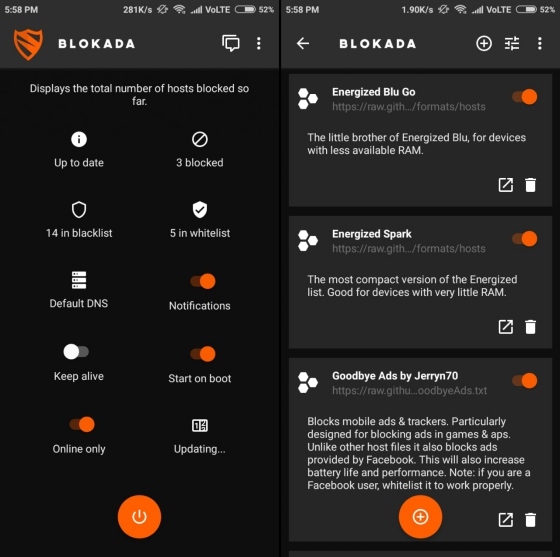 Blokada is a free and an open-source ad blocker app for Android smartphones. This is among the best apps to stop the unwanted ads that interrupt while using the smartphone. It offers tracking and malware services along with a full-proof ad-free experience. Blokada comes with a clean interface which helps you to access the important information on the home screen itself. 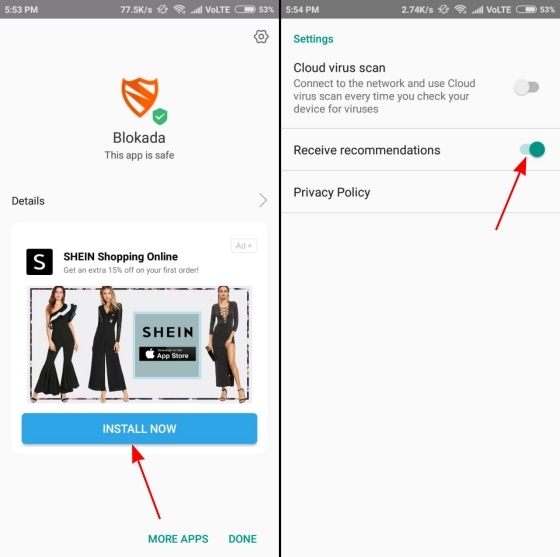 It is very easy to use and shows you whitelist or blacklist apps, number of blocked ads, and VPN connection on the front itself. Congrats! 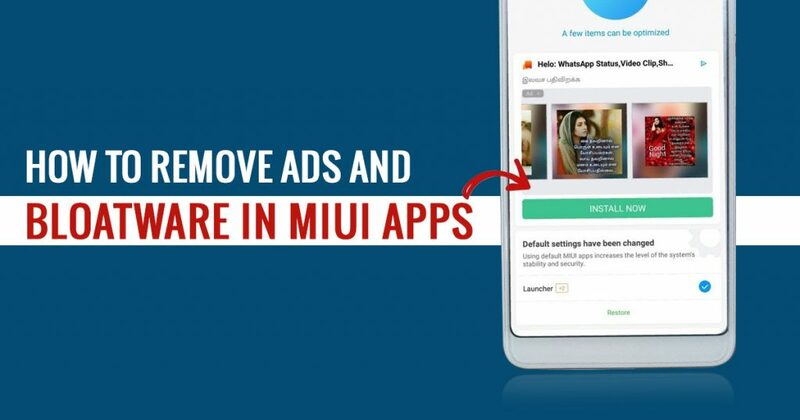 Now Use MIUI Ad-Free! 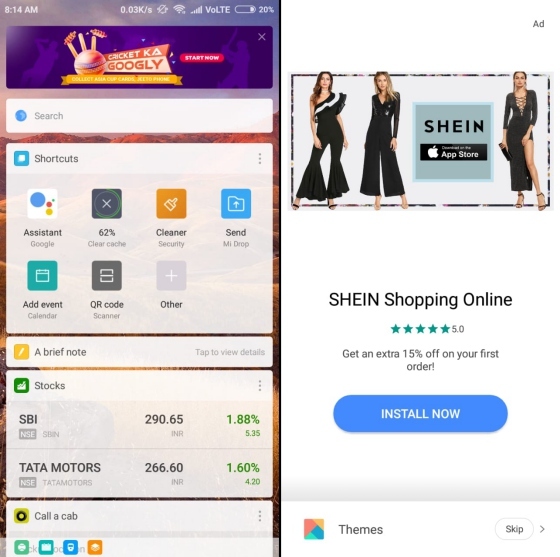 Xiaomi might be selling the smartphones at a cheaper price but with irritating Ads inside which brings the customers on its nerves. We expect a lot from the multi-billion-dollar company which is not standing up to our expectations. If you follow all the steps given above then your experience will turn out to a neat & clean MIUI. Steps To Remove Bloatware From Xiaomi Smartphones without Root? What is the term Bloatware on Xiaomi smartphones? The Bloatware is the term used for the apps in the smartphone that are locked by the vendors like the Xiaomi, Samsung, HTC etc. To make the UI of the device unique, the vendors use this annoying tech to lock the apps of the device. If you want to uninstall or disable the bloatware from your smartphone, you have to root the device. 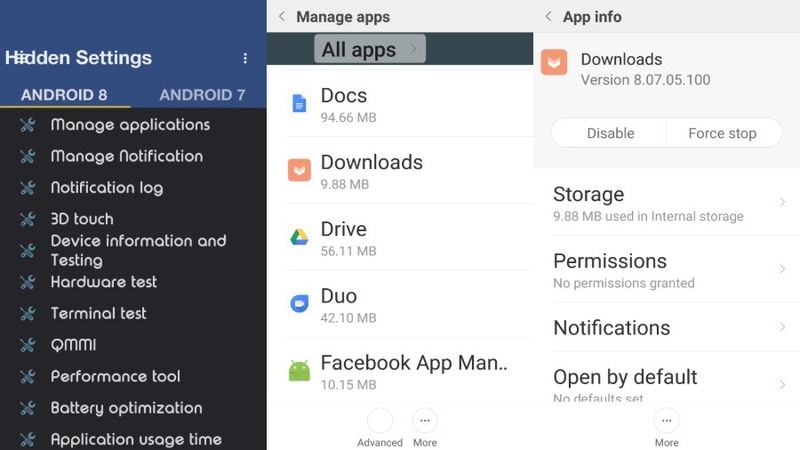 But now to make it easy, we have brought a few methods by which you can easily disable bloatware from the MIUI apps that uses your RAM. 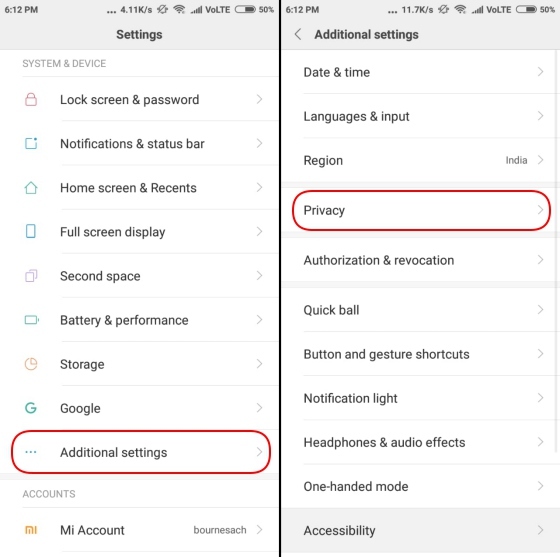 MIUI’s hidden settings make developers easier to do pre-complex tasks on some clicks. For example, you can use the notification log, which was challenging to obtain in the past. You can choose anyone from it, based on the MIUI version which is installed on your Xiaomi smartphone. 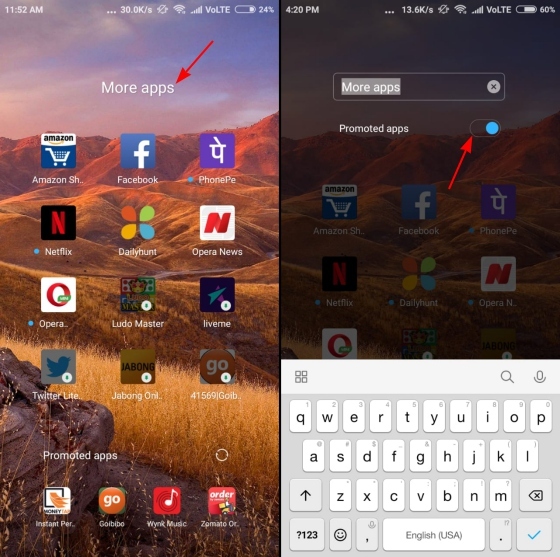 MIUI hidden features will help you in getting rid of some of the pre-installed apps. By this, you can also uninstall Google apps. Tap on “Disable” or “Uninstall” option. Then from the pop-up tap on “Disable app”. 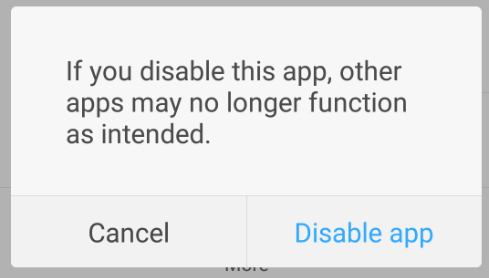 By these steps, unwanted apps will be disabled. ADB and Fastboot is the universal method to remove the bloatware which works on almost every Android smartphones. The difficulty is that it is somewhat technical. To use this method, you have to follow the step carefully or must know about the ADB and Fastboot. So kindly follow the above-given steps. If you find any bugs or system crash then just reboot the smartphone and then the Xiaomi smartphone will be the same as it was but with more speed and without bloatware. Is Xiaomi Bloatware removal safe? First, the company does not recommend you to do such things, so it means it is not safe. While on the other hand, it is the unwarranted Ads in the smartphone, so removing this will only help the smartphone. 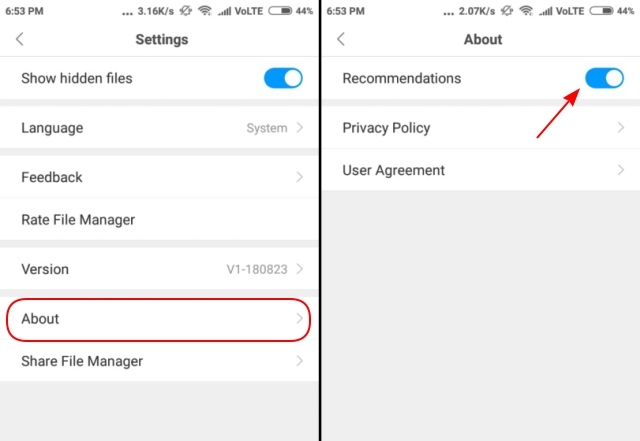 Other than these steps, bloatware in the Xiaomi smartphones can be removed by rooting the device. Now, this is actually a difficult method as the failed rooting might brick your smartphone. So, choose whatever you feel good to do it without harming the smartphone.